With an area of 170 hectares represented in a Port Terminal, a Liquids Terminal and a Free Zone; The Palermo Cluster becomes the main logistics solution for the mobilization and storage of cargo on the Coast. 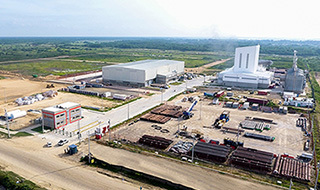 The only multipurpose cluster located on the north coast of Colombia on the eastern bank of the Magdalena River. Its strategic location allows a direct connection with the main land routes that go inland, avoiding congestion and the entrance of heavy traffic to the city. 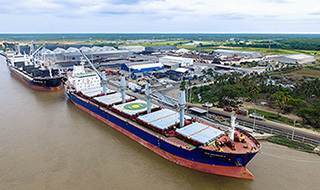 a multipurpose terminal located near the north coast of Colombia on the Magdalena River. A highly competitive option for Colombia’s trade with a broad portfolio of quality services and competitive prices thanks to its great geographic location. Over an area of 30 hectares on the right bank of the Magdalena River. With a modern infrastructure, it meets the needs of importers and exporters to carry out their logistics operations efficiently, resulting into greater productivity and competitiveness in the market for our value partners. Palermo Tanks is a public access liquid bulk terminal designed and built to the highest technical, operational and HSE standards, that allows handling of hydrocarbons for import and export operations. 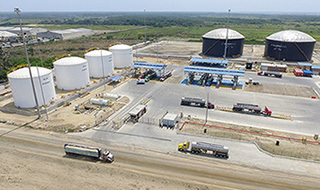 The tank farm is located on a 420 acres Industrial Cluster, in Palermo Municipality, Departamento del Magdalena, in front of Barranquilla, right next to Palermo Port Society, a large scale public use multipurpose. 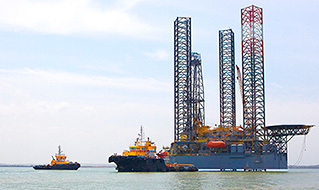 The Coremar offshore vessels division, offers logistics solutions to the energy industry in latin american and caribbean waters, with specialized vessels for each type of operation, high quality trained staff and onshore infrastructure.